will there be credits? If so here's a suggestion that most game developers do, a special thanks. Basically any big supporters that have supported the game since the beginning. Ok once I do the beta test I'll give you feedback on bugs, glitches or anything that might be wrong with it. Oh also I will give good feedback too! username for Facebook Henry henry. Also thanks for inviting me! ðŸ˜€ Sorry about what happened(can't do it if I didn't do it),glad your ok.ðŸ˜€ just one question, will knightin+ be free? facebook. Cause that's the only one I can login to. You truly are when knightin + is out! birthday yesterday :-) how knightin+ going? don't say.I said just for the lels. also nice to see you again exoticpanda! 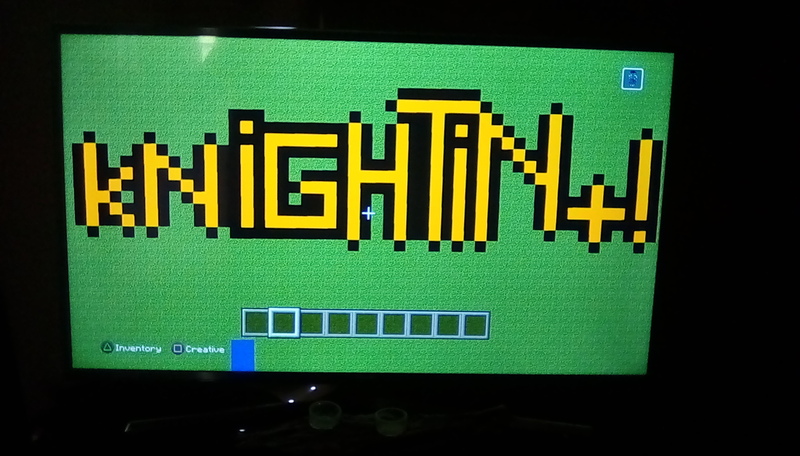 nice to see knightin go a long ways since its release in I think 2017-2018? you just buy the key from the shop then walk though the door to skip shield. that's a jumbled mess though. XD. But this is Darkcreeperlord. Wolod! Long time no see./me commet. XD. anyways how's knghtin+ going. My name and profile picture may be different but that's cause I'm on mobile and I forgot my password. xd.